The winemaker for Domaine du Grand Mayne since 2011, and General Manager of the company in France, Mathieu lives and breathes Grand Mayne. Born in the Loire Valley near Tours, he developed his passion for wine by working with outstanding Chenin from Vouvray. He studied winemaking, vineyard managing and wine economy at Bordeaux. His son Baptiste was born during the harvest 2013, just two days after a horribly destructive hailstorm … at Grand Mayne our stories always end happily. The newest member of Team Grand Mayne, Marie looks after sales and hospitality at the vineyard. 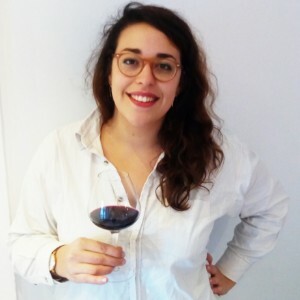 She grew up in Duras and studied the International Wine Trade in the Rhone valley, as well as an internship in Chile and work in the Loire wine trade. Now back home, she will warmly welcome you to the vineyard. Chances are that hers will be the first smiling face you see when you arrive at the vineyard. If you’re staying at La Maison or La Petite Maison, she will be the one who ensures that everything is tip top for your stay. Fifi was one of Grand Mayne’s pioneers, arriving in 1990. 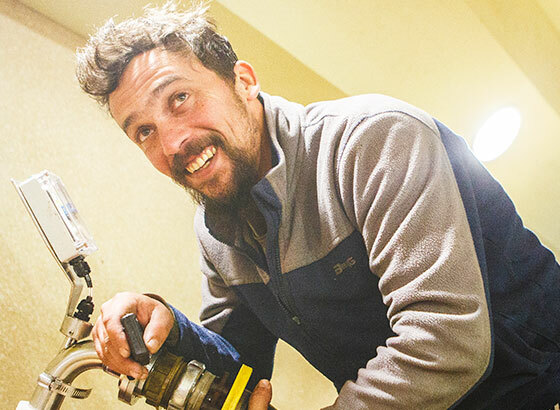 He is the domaine’s Mr Fixit, called upon to fix anything and everything from tractors to pressing machines. A fan of Monty Python, Fifi suffers from contagious good spirits. When you visit Grand Mayne, you will probably hear him before you see him. It’s all part of the Grand Mayne magic: there’s no charge for the ad hoc entertainment. Manu was born in Portugal and arrived in France aged 12. He learned all there is to know about vineyard work from his father before arriving at Grand Mayne in 2004. Manu looks after the vines. At pruning time you will marvel at the speed that errant shoots are snipped and others are trained. When not at work at Grand Mayne, he will probably be found renovating the house he recently bought in Duras. A true local, Céline grew up in the area around Grand Mayne. In fact, some of the land Grand Mayne has planted was bought from her grandfather. 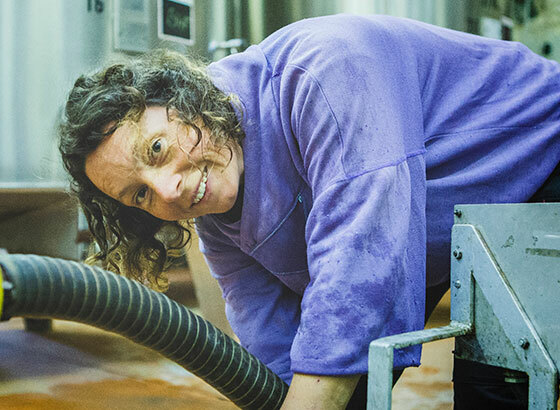 She joined the team as a seasonal vineyard worker in 1999, but has since added cellar work to her job description. She has the enviable reputation of always being happy. It is often her that leads the laughter when the team gets together for lunch. She is a true daughter of Grand Mayne. 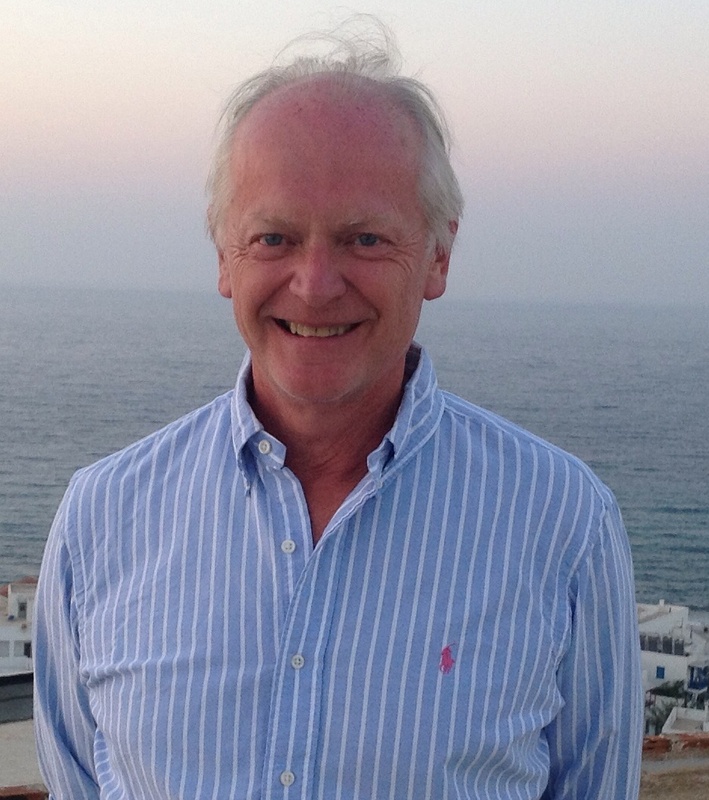 Manager of the business within the UK, Richard joined Grand Mayne in January 2015. He trained as a lawyer and has worked in international trade and business publishing. He is the first point of contact for all Grand Mayne matters in the UK. Little makes Richard as happy as a glass (or two) of Grand Mayne’s 2005 Vendange Tardive dessert wine after a long dinner. 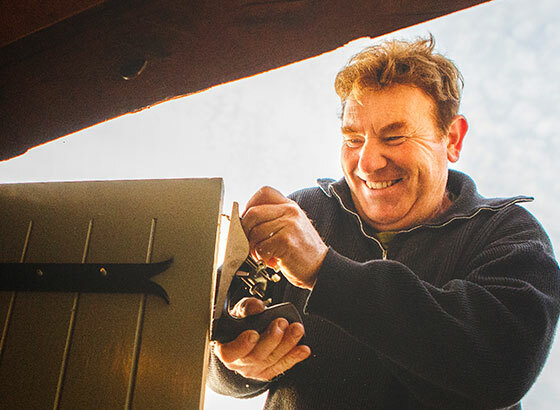 A man with a vision, Andrew created Grand Mayne out of a derelict farmhouse and abandoned fields in 1985. In short, he created the thriving enterprise it is today. He has been a non-executive director of Grand Mayne since 2014. You can never leave your dream behind. Andrew’s vision was to make New World style wines in France. Martin’s involvement helps make this happen. 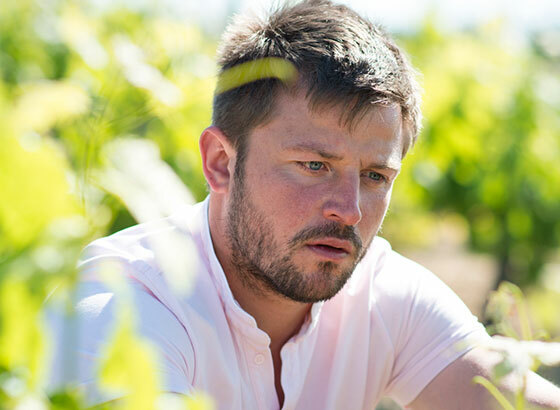 A leading winemaker from South Africa, Martin works closely with Mathieu enabling him to make the best wines possible at Grand Mayne. Martin has previously been responsible for such iconic wines as Eagle’s Nest, Vergelegen and FMC in his native South Africa. His commitment to our part of France though is now complete as he has bought a house in the area! Has worked in the UK wine trade for as long as he can remember, beginning with Direct Wines (now Laithwaites), who also run the Sunday Times Wine Club in the 70’s. Went on to start West Country merchant Great Western Wine in 1983 which he sold with sales of around £10 million in 2010. The Finance man. Was FD at Great Western Wine but had previously run a number of companies including a well known catering company, which had contracts at some of the UK’s leading venues including the V and A and The Globe. A successful entrepreneur, it was Graham who saw the opportunity and potential of Grand Mayne when it came back on the market in 2013.